The 2018 World Judo Championships produced a sensational day of judo as the ippons flow and two new champions were crowned on a day of redemption in Baku. 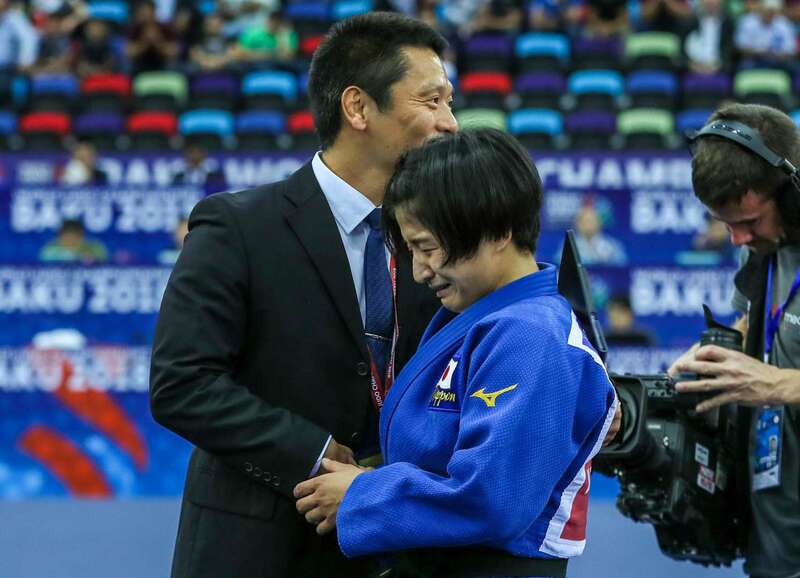 YOSHIDA goes one better than 2017 to strike gold for Japan Six-time Grand Slam gold medallist YOSHIDA Tsukasa (JPN) was crowned world champion after a dominant victory over Nekoda SMYTHE-DAVIS (GBR). Both judoka were on the podium a year ago at Budapest 2017 as YOSHIDA claimed silver and SMYTHE-DAVIS won bronze. YOSHIDA took the final to the Briton who made sure that her country was represented in a World Championships final for the first time since Karina BRYANT (GBR) took silver in Rotterdam in 2009. Japan’s fourth gold medallist scored not one but two waza-ari in 80 seconds with a lethal display as she broke the deadlock with a tai-otoshi and finished with a neat ashi-waza attack from a ko-soto. 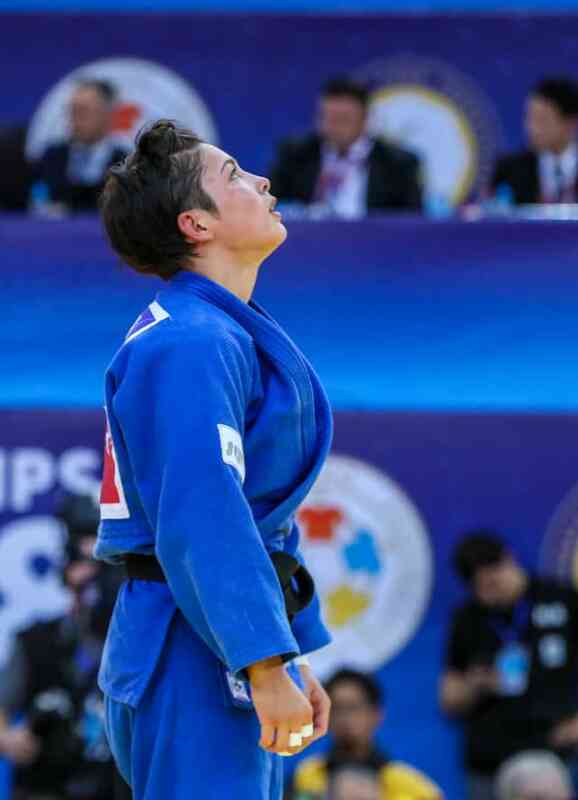 In the first semi-final 2017 world bronze medallist SMYTHE-DAVIS strangled world champion DORJSUREN Sumiya (MGL) to dethrone the Mongolian and move one contest away from taking her 2018 title. 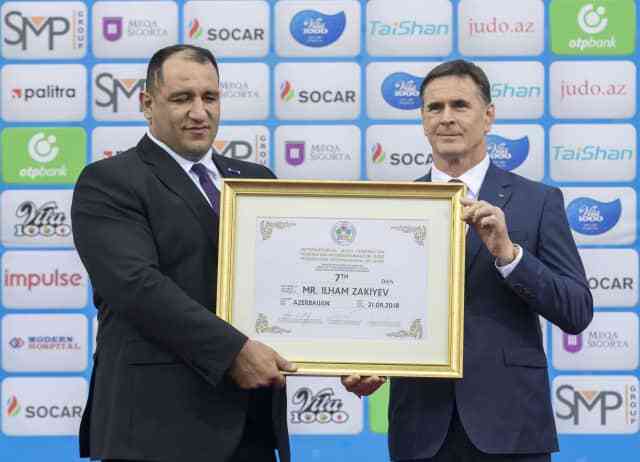 In golden score SMYTHE-DAVIS, a product of London’s Ealing Judo Club, outworked the Mongolian on the ground with a proficient display of shime-waza to ensure a new owner of the red backpatch in the -57kg category. In the second semi-final YOSHIDA defeated former teammate and Paris Grand Slam gold medallist Christa DEGUCHI (CAN). 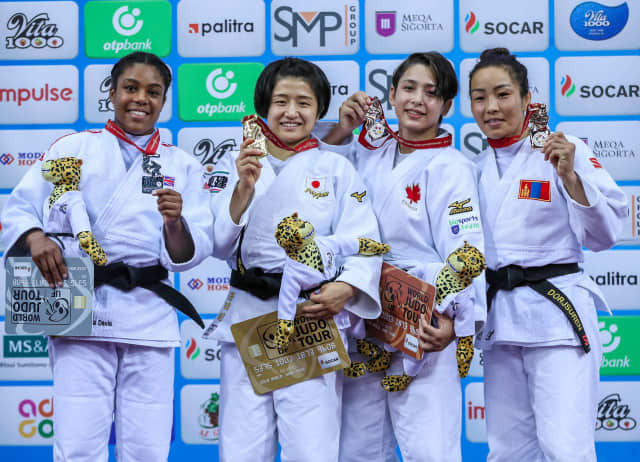 YOSHIDA avenged her Paris Grand Slam final loss to the Canadian star by throwing with a uchi-mata for a waza-ari to secure her spot in the final for the second year in a row. In the first bronze medal contest DEGUCHI won Canada’s first medal in Baku by besting European Championships silver medallist Theresa STOLL (GER). It was the German judoka who took the lead before DEGUCHI fired back with a waza-ari from a o-uchi-gari. The former Japanese international broke the balance of her opponent with a combination of ashi-waza attacks before holding down STOLL for her second waza-ari score. The win meant that Canada finally had a first female medallist at the World Judo Championships and will hope for more in the coming days. 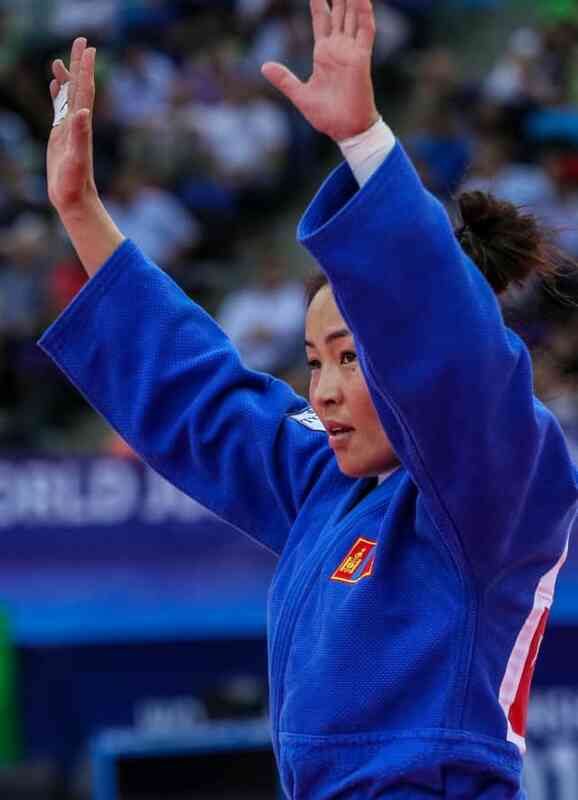 In the second bronze medal contest DORJSUREN, who was wearing her red backpatch for the final time, was able to triumph over World Judo Masters bronze medallist KWON Youjeong (KOR). A four-minute stalemate ensued and golden score was required to produce a winner and the second -57kg gold medallist. 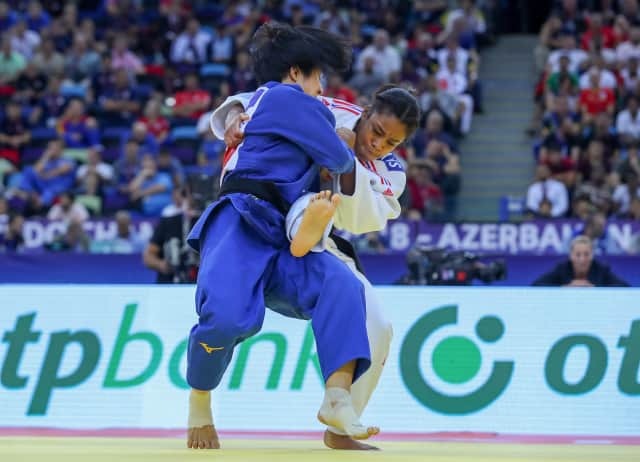 DORJSUREN threw with a ura-nage for a match and medal-winning waza-ari as Mongolia opened their medal account at Baku 2018. Double world medallist AN Changrim captures the world title from HASHIMOTO Defending world champion HASHIMOTO Soichi (JPN) lost his world crown to AN Changrim (KOR) who claimed his first senior world title. Asian Games silver medallist AN, who grew up in Japan and regularly fought in the All Japan School Championships, won the Junior world title in 2014 and claimed the greatest prize of his career in Baku at the expense of HASHIMOTO. The standout duo have been long-time rivals in Japan and outside on the international circuit. HASHIMOTO, who also lost to AN at the Hohhot Grand Prix final in May, was caught with a ko-soto-gake for ippon. In the first semi-final HASHIMOTO was under pressure against home star Hidayat HEYDAROV (AZE). 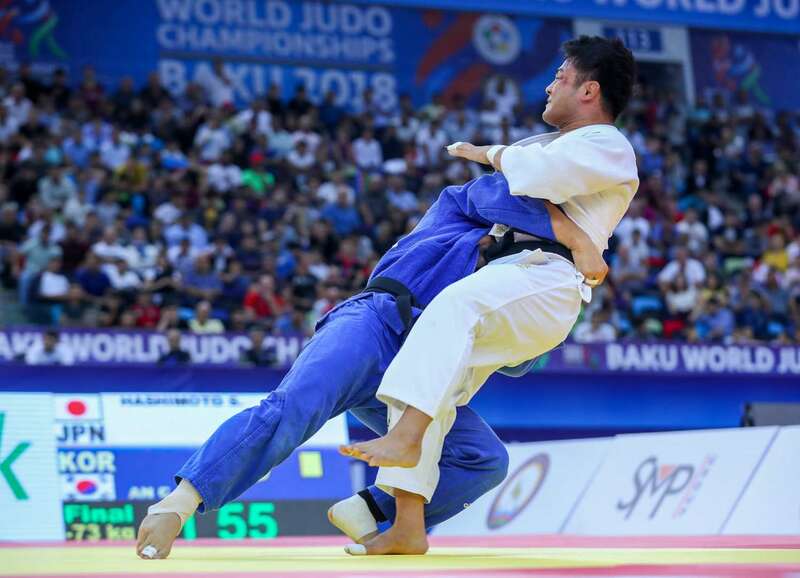 The Japanese showed his quality by absorbing a torrent of attacks from the Azeri and launched in golden score with his trademark sode-tsurikomi-goshi for ippon after 31 seconds of added time. In the second semi-final AN defeated Asian Games bronze medallist MOHAMMADI. The in-form South Korean judoka opened the scoring with a waza-ari from a seoi-otoshi and concluded a comprehensive win by showing off his groundwork. The Iranian ace, who won bronze at the Asian Games last month, had to submit to a juji-gatame and moved down into a bronze medal contest. In the first bronze medal contest MOHAMMADI defeated 2017 world bronze medallist GANBAATAR Odbayar (MGL). 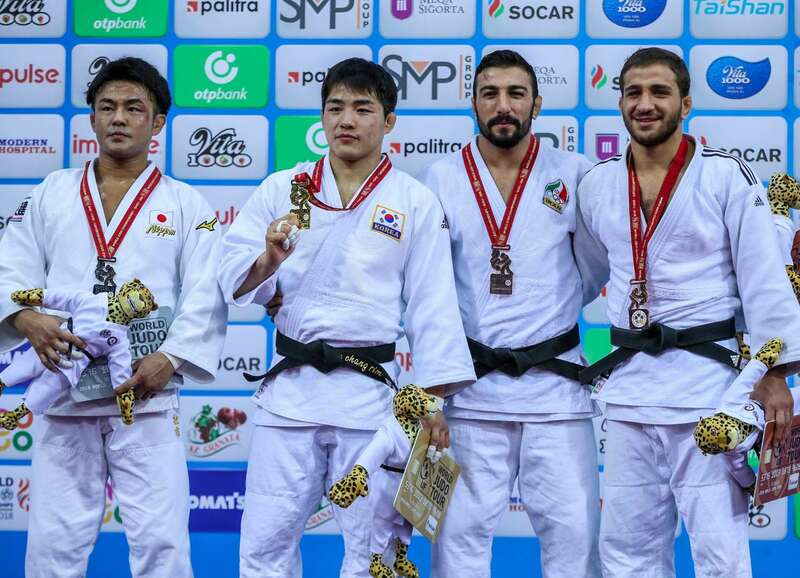 Mongolia were present in both -73kg bronze medal contests but started with a loss as MOHAMMADI was an emphatic winner by ippon from a nidan-ko-soto-gari. 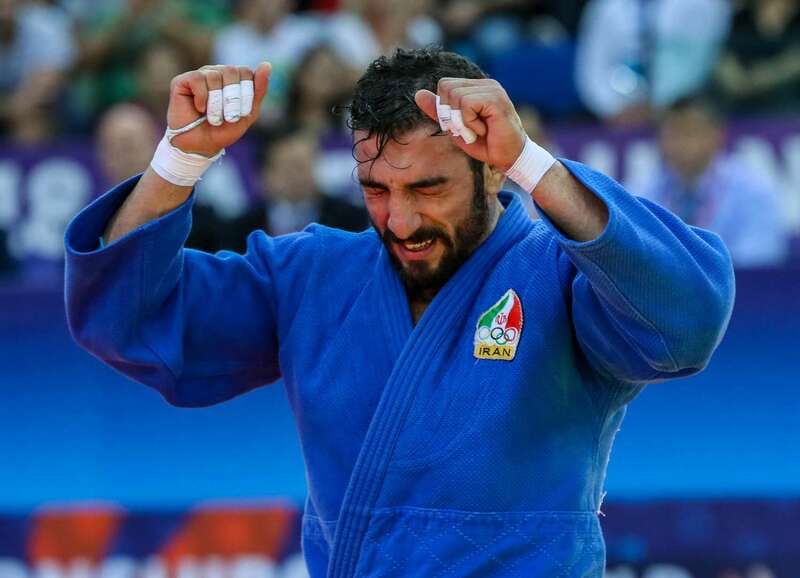 In the second bronze medal contest HEYDAROV was the hero for Azerbaijan as he won his country’s first medal at their home World Championships. Rio 2016 Olympian at -60kg, TSEND-OCHIR Tsogtbaatar (MGL), finished fifth at -73kg like his older teammate GANBAATAR as the Azeri took bronze in front of the President of Azerbaijan, Ilham ALIYEV.